For kids who want to match their military or military style-loving dads, the youth N-3B parka is an exact replica. 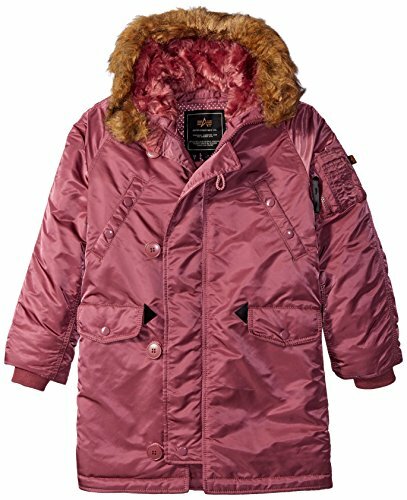 This extremely warm kids' snorkel jacket has a 100 percent flight nylon shell, contrast orange lining, and 100 percent polyester-fill to protect against sub-freezing temperatures. If you have any questions about this product by Alpha Industries, contact us by completing and submitting the form below. If you are looking for a specif part number, please include it with your message.